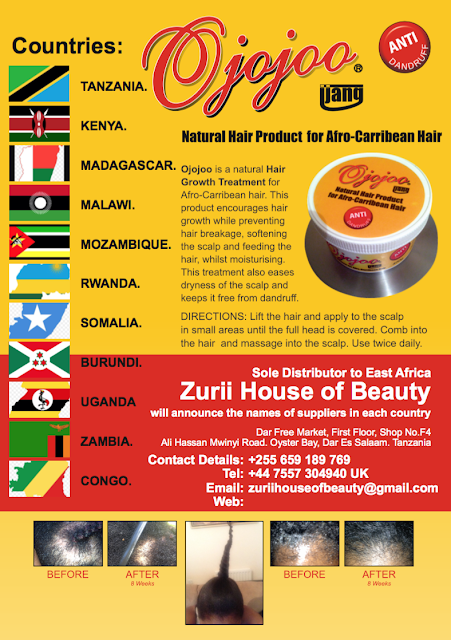 Home / News / Showbiz / OJOJOO AFRO CARIBBEAN HAIR TREATMENT PRODUCTS AVAILABLE AT ZURII HOUSE OF BEAUTY. OJOJOO AFRO CARIBBEAN HAIR TREATMENT PRODUCTS AVAILABLE AT ZURII HOUSE OF BEAUTY. 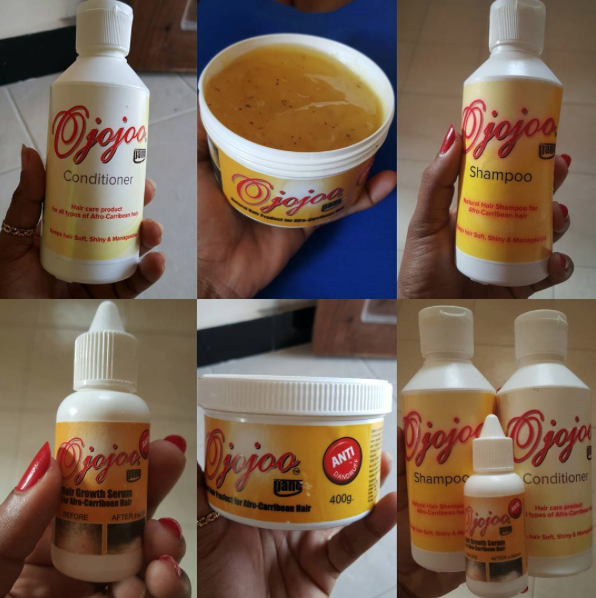 OJOJOO Oil infused deep penetrating conditioning treatment made with pure OJOJOO Oil and other natural ingredients to help protect hair from the damages of every day styling. When used daily, OJOJOO Oil Leave-In Conditioning Repair Cream helps promote strong, healthy hair. This OJOJOO Serum provides on-the-go nourishment to instantly smoothen hair while giving manageability. Enjoy perfectly manageable hair that is soft to the touch. Did you know? When hair is very dry, it needs effective nourishment to keep it smooth, strong and manageable. OJOJOO Serum, infused with Nutrients, Proteins and Buriti Oil, deeply nourishes, smoothens and strengthens your hair for perfect manageability. Pamper your hair with the exotic fragrance and rich, moisturising properties of OJOJOO Oil Formula Conditioning Shampoo. Moisturizes, revives and helps create softness and strength. Enriched with pure natural oils and Vitamin E, this luxurious shampoo transforms dry, damaged tresses into strong, shiny, healthy hair. A unique, precious blend of natural oils which helps to instantly penetrate the hair shaft restoring shine and softness while helping to strengthen and create soft, seductive, silky perfection. Ojojoo Afro-Carribean available for wholesale and retail in the UK & Europe. Please inbox me ur order or whatsapp me +447557304940. JE UNA MATATIZO YA NYWELE YAFUATAYO? JIBU LA MASWALI HAYO YOTE NI MOJA TU ..OJOJOO ITAMALIZA MATATIZO YOTE. YANAFAA KWA WATOTO, WAKUBWA, WALIOTIA DAWA NA WASIOTIA DAWA .....WALIOKWISHA YATUMIA HABARE WANAYOOOO.......SIKUHIZI KILA MTU ANA NYWELE KM NICK MINAJ LABDA WEWE TU ...CHEZEA OJOJOO?? KUTOKANA NA HALI YA JOTO MAFUTA YANAWEZA KUYEYUKA LAKINI SIYO KWAMBA HAYAFANYI KAZI ENDELEA KUYATUMIA UTAONA TU MATOKEO MAZURI. NAOMBA UJITAHIDI UYAWEKE MAFUTA YAKO SEHEMU YENYE UBARIDI.